I am an attorney with experience as both a litigator and a clerk attorney to San Francisco Superior Court judge Ronald Quidachay. I earned my J.D. at U.C. Hastings where, among other things, I was one of only three students in my class to receive a three-year merit scholarship. During law school I also served as a member of the Hastings Law Journal and externed for Federal Court Judge Charles Breyer. I passed the bar in 2004. In 2009, I received the state bar’s Wiley W. Manuel Award for providing more than 100 hours of pro bono legal services to persons in need. Prior to becoming an attorney, I taught 4th, 7th and 8th grades at Ross School, a public school in Marin County. During my tenure as a teacher, I also fulfilled several leadership roles including president of our district’s teacher union, member of the negotiations committee and the administration’s leadership committee, and faculty liaison to the PTA. 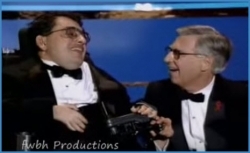 In 1999, the PTA awarded me its “Inspirational Teacher” award the first time it was given for creating on my own initiative a reading mentorship program engaging middle school students as mentors to struggling primary grade readers. 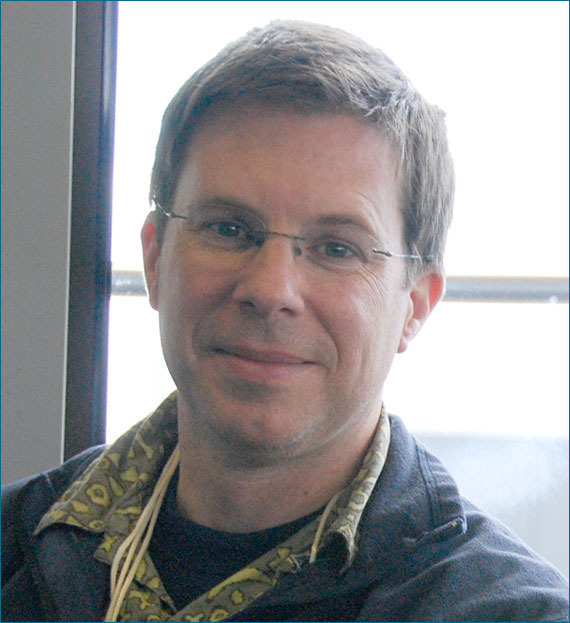 I am a lifelong resident of the Bay Area and a graduate of Stanford University. My wife, Ingrid, grew up in Palo Alto. We had our first child in 2010 and were thrilled to buy our first home in her hometown, and my college town, in the fall of 2011. 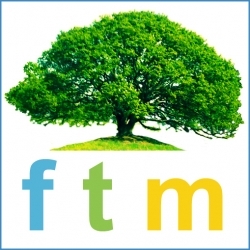 In the summer of 2012, I opened the doors of Family Tree Mediation, excited to be shifting my legal practice to focus solely on the mediation process, which I regard as both a far more economically sound service to provide and a far more constructive process in which to engage than litigation. 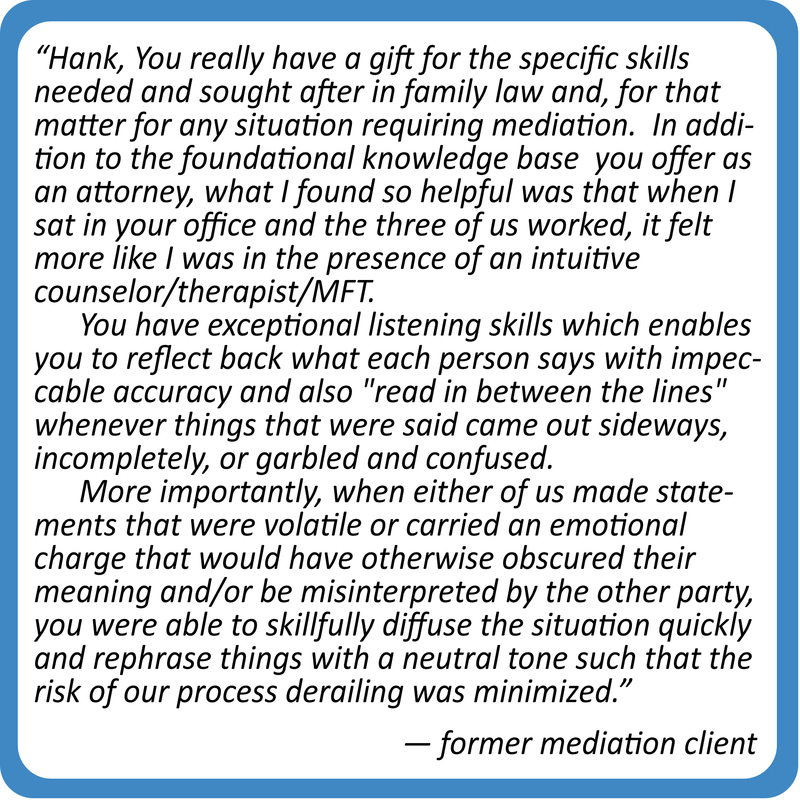 I employ a facilitative approach to mediation focused on achieving and building upon the mutual benefits parties in dispute experience when they realize they have been truly heard. 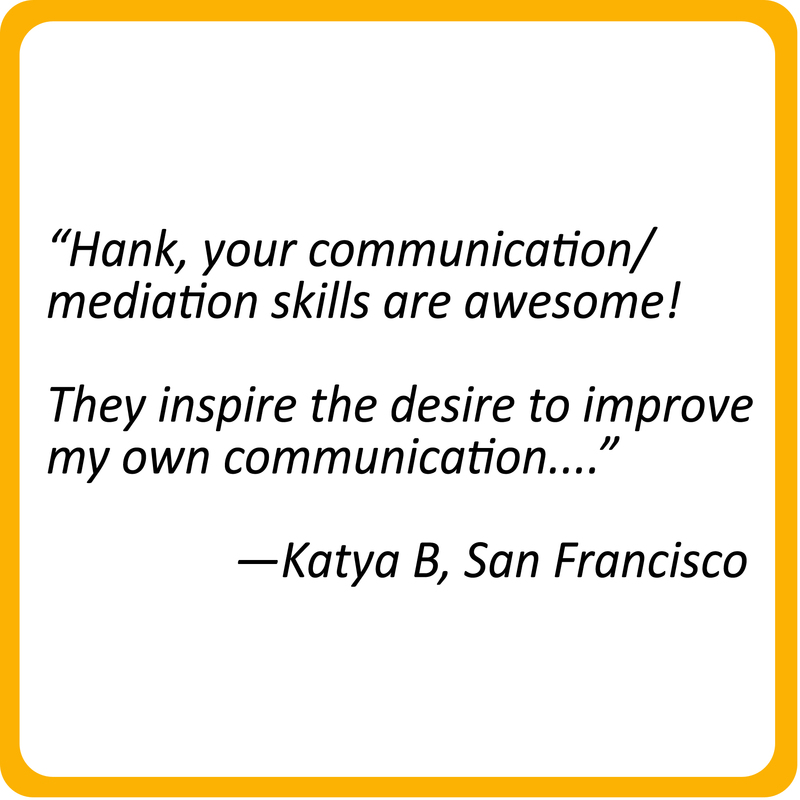 I believe a mediation revolution is quietly at work in our society significantly improving our communication methods in ways that have a long lasting positive influence on the quality of our lives. Understanding and appreciating the value of utilizing a neutral third party who is present, sensitive, articulate, intelligent and creative to mediate difficult relationships, issues, disputes and conversations I believe will soon enter the mainstream in our culture in the same way that therapy, yoga, and alternative medicine have become widely experienced and practiced throughout our society. I believe as a mediator I have the important personal strengths described above of being present, sensitive, articulate, intelligent and creative. 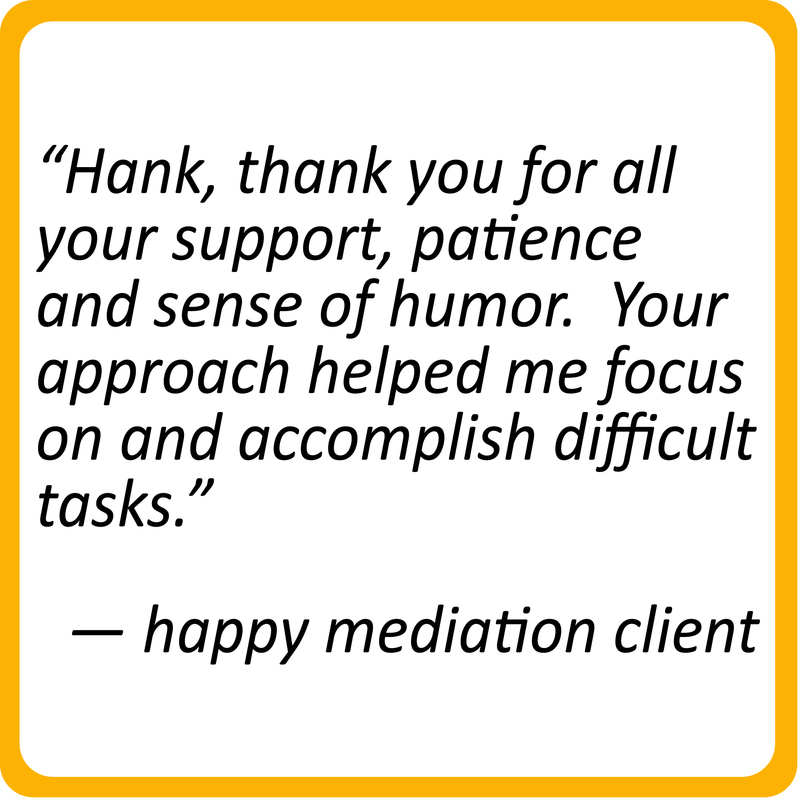 The complementary experience I bring to mediation as an attorney and educator informs my outlook. My legal background gives me experience with and appreciation of the value of procedural integrity and thoughtfully developed, independent standards for evaluating available settlement agreement options. My education background gives me experience with and appreciation of the emotional, psychological, and practical dynamics we face when coping with conflict, change, opportunity and loss. First, the Family Tree image reflects the positive growth of each of our lives through all of life’s changing seasons. As we grow older, the strength, peace and grace we embody are a reflection of our authenticity, integrity, and self-awareness. 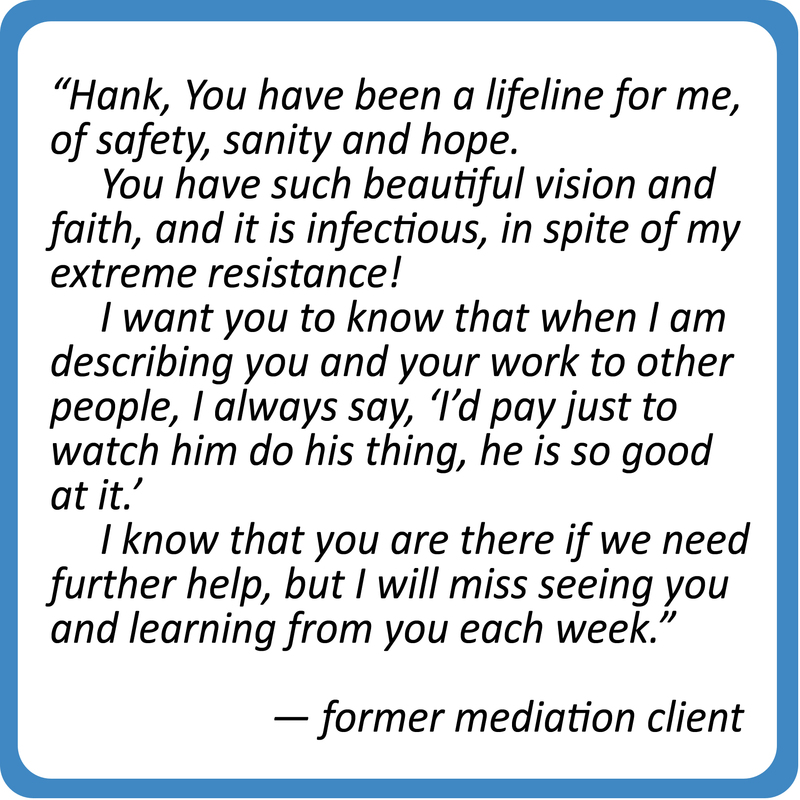 Mediation is a process that provides the opportunity for navigating deeply painful conflicts with all of these desirable qualities so that you feel yourself growing stronger, more peaceful and more graceful no matter what challenges you face. Second, the Family Tree diagram of relationships calls attention to the fact that the people connected to us through close family bonds remain powerful presences in our lives no matter how these relationships may change or where our paths may lead. Therefore, we are wise to treat these relationships thoughtfully if we do not want to experience the unpredictable and stormy nature of untended conflict. Conflicts of interest and perspective are inevitable parts of life, but they do not have to be destructive experiences. 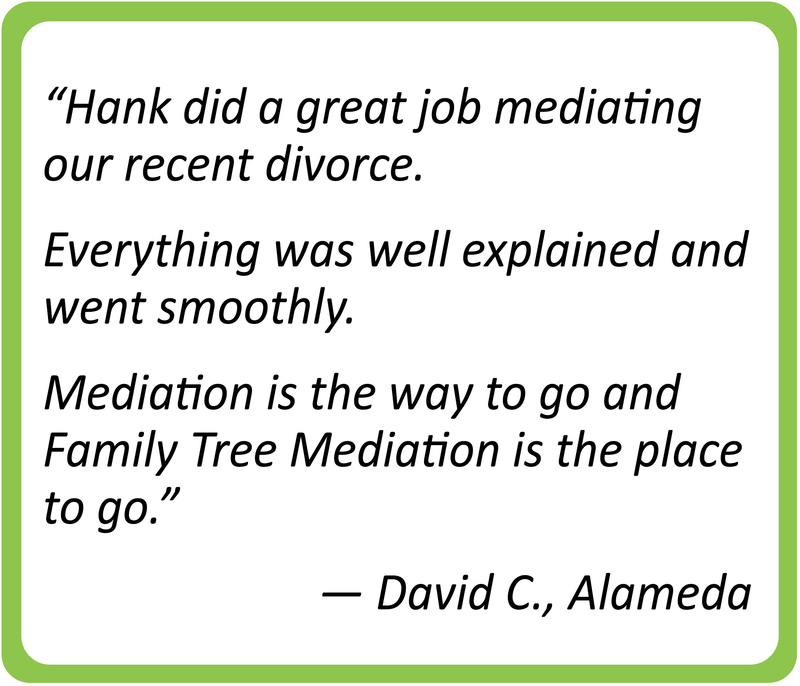 When the mediation process is employed well, I believe these inevitable conflicts ultimately make the Family Tree even more fruitful. Third, the Family Tree expression refers to the relationships that are the closest to our heart: our loves, our children, our parents, our siblings, all those who have more experience than anyone else of the continuity of who we are from childhood to old age. Investing in our ability to hold ourselves positively amid the myriad variations of family relationships, no matter what strains and changes such relationships involve, is to me a doorway to health and happiness. As a mediator, I strive keep this doorway open for families so that they can honor each other’s autonomy, find empowerment to pursue their own deepest interests, and so find peace in their differences and appreciation for the good things shared together. 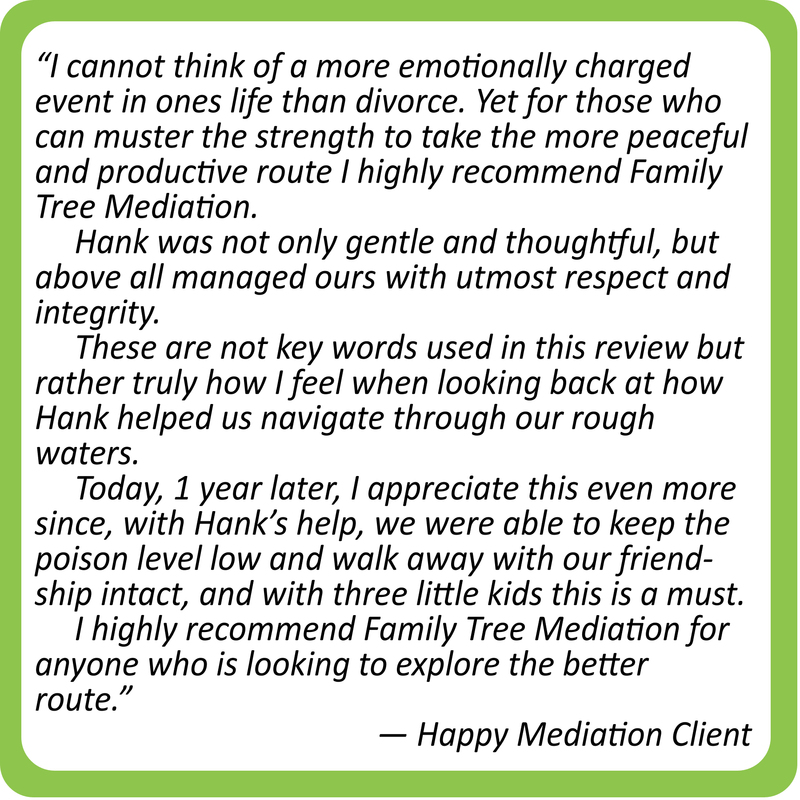 If you are suffering an ongoing conflict within your family tree and want to promote the pursuit of a positive outcome that meets the needs, concerns and agendas of everyone involved, Family Tree Mediation welcomes your inquiry to evaluate whether our services might be right for you.